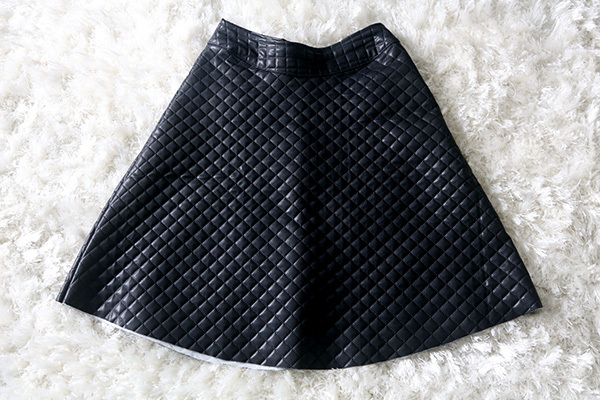 So it’s still Winter and I wanted a (p)leather skirt – midi length, so demure, yet made of a material that’s a little reminiscent of biker gangs. That’s just how I roll. 1. 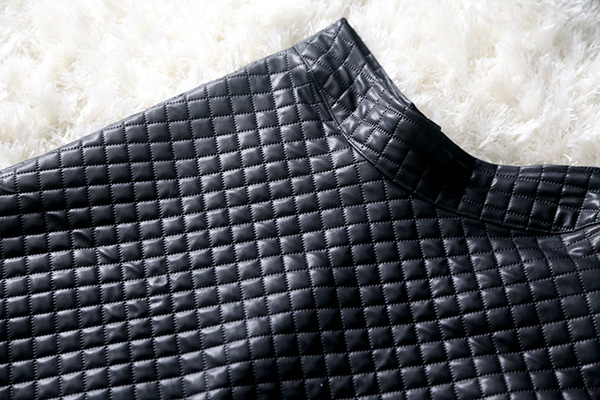 Fold quilted pleather over on itself on-grain. 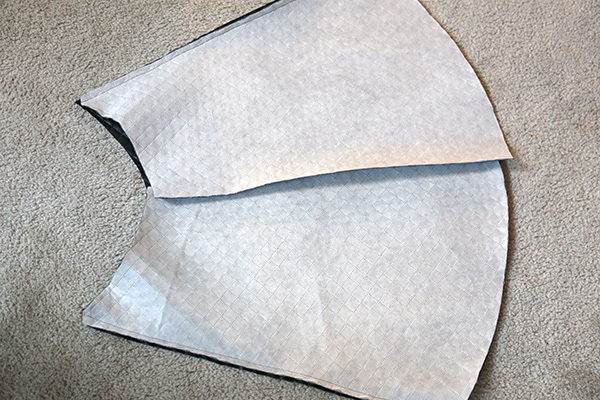 Do the same to your base skirt, match the folds, and cut around the base skirt for the front piece, leaving about 3/8″ all around for the seam allowance. 2. 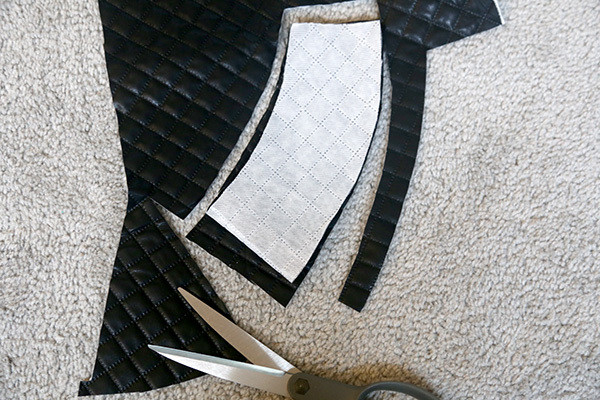 Place the skirt with the back side up onto the pleather, and cut around one back piece, leaving 1/2″ at the center back. 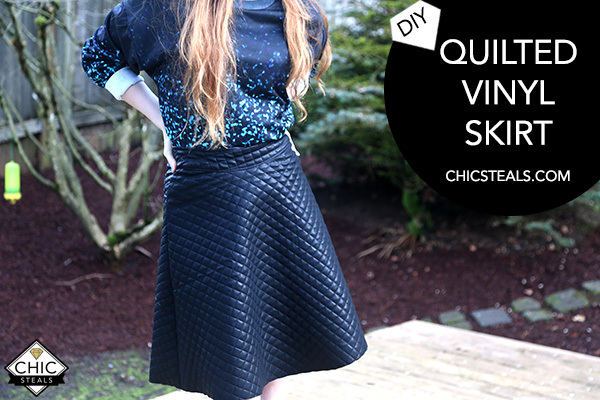 Make sure you’re placing your base skirt straight compared to the quilted piece. 3. Flip the piece you cut wrong side out, and cut the matching other side the the back of your skirt, again making sure the center back line is straight on-grain. 5. Flip the piece you cut wrong side out, and cut the other side (again with CB on-grain). 6. 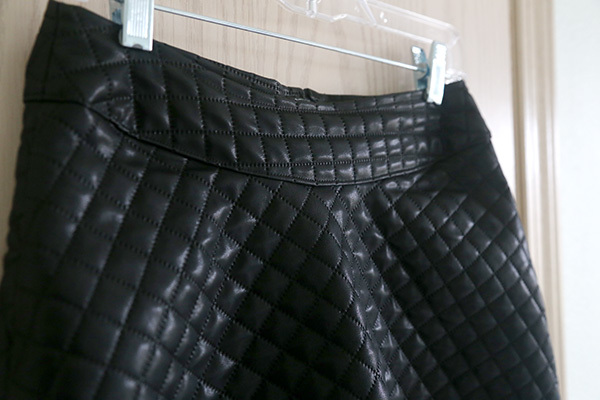 Fold the skirt and fold the pleather; place the folded skirt on top of the pleather; cut the front waistband. 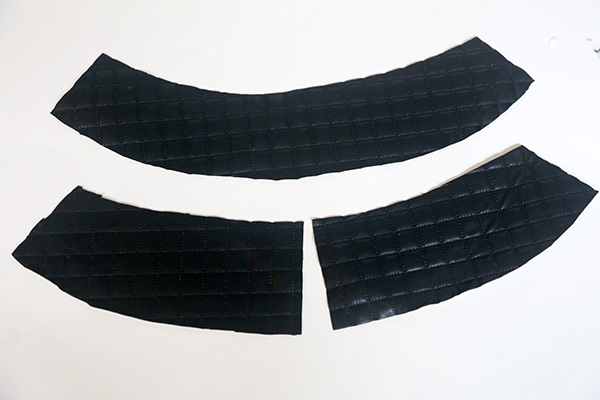 You will then have 3 pieces for the waistband cut. 7. 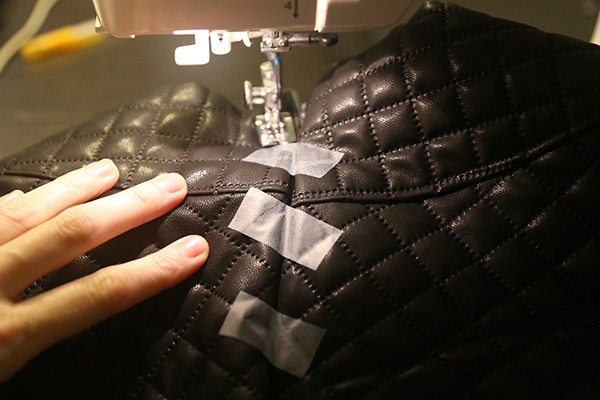 Place all waistband pieces onto the fusible and cut around each. 8. 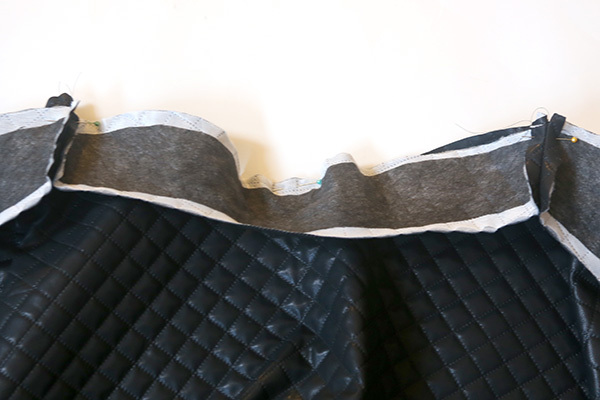 Trim edges of fusible about 1/2″ inside. 9. 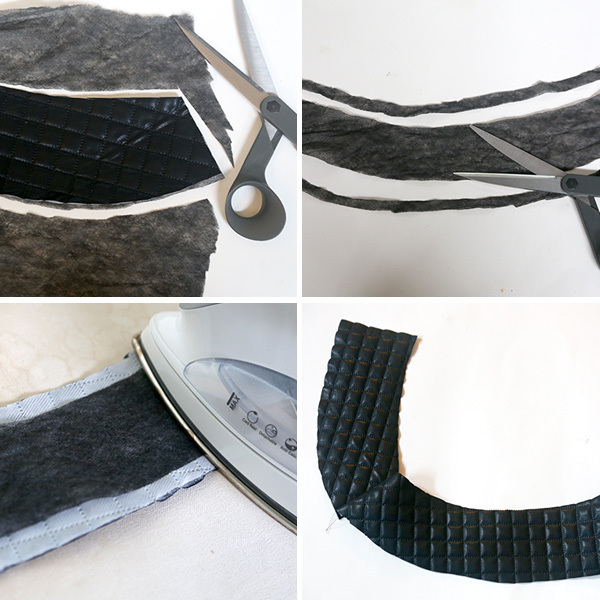 Use iron to fuse the fusible to the inside of the waistband pieces. 11. Sew the skirt sides to the skirt front at the side seams. 12. 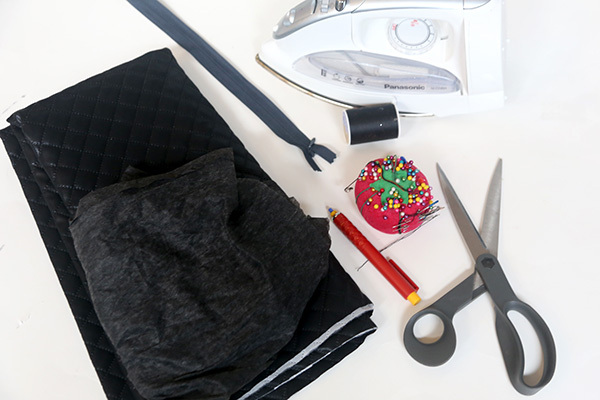 Pin the bottom edge of the waistband piece to the top of the skirt, right sides together. ONLY pin within the seam allowance. 13. 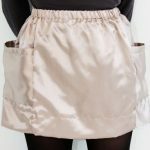 Stitch the waist band to the skirt top, easing the skirt to the waistband so it will hang in soft gathers. 14. 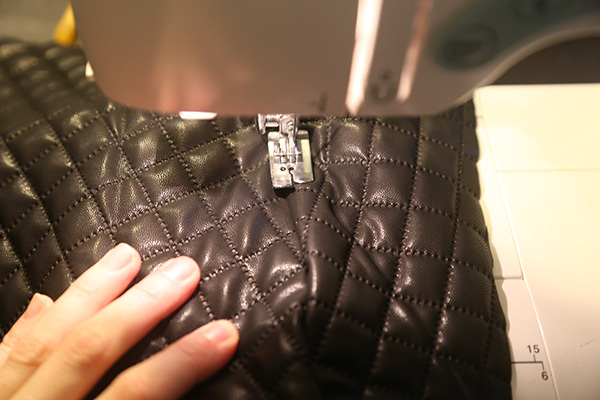 On the inside, clip the curves of the seam allowance so they lay flat. 15. Set the back zipper however you like. I sewed the seam below the zipper first, then pinned the zipper to the open seam allowances, using pieces of tape to secure the opening at the back so the pleather didn’t gape. 16. 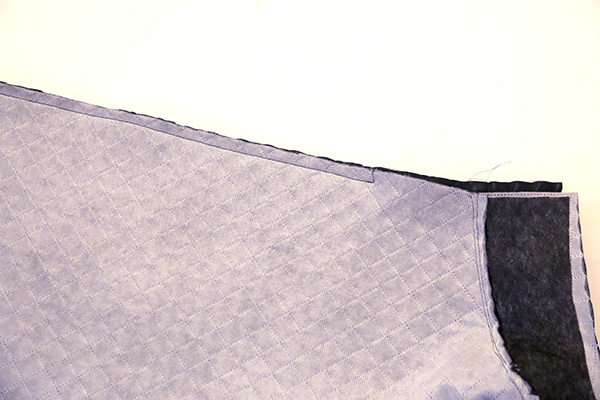 Topstitch about 1/4″ in from the waistband bottom edge to secure the seam allowance upwards. 17. 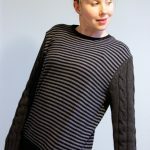 Turn the top edge of the waistband down, and secure with a line of stitching, covering the ends of the zipper at the back. 18. 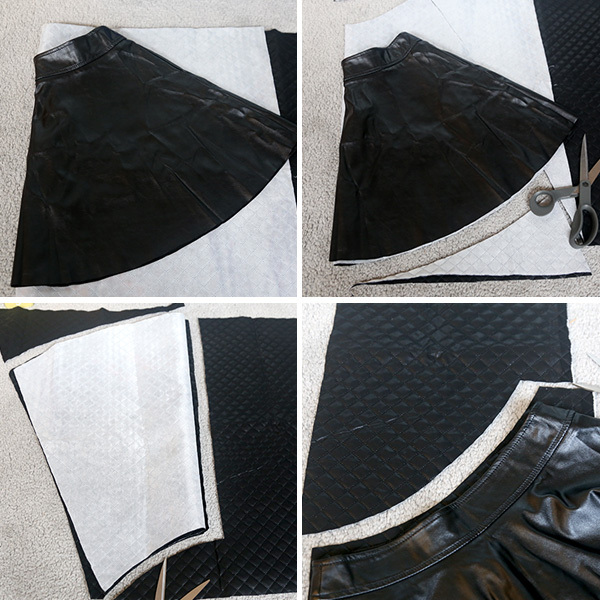 Trim the bottom of the skirt so everything is symmetrical front to back. It seems like a lot of steps, but it comes together really quick. You can line the waistband if you like; since my pleather already had a fused underside I chose not to. Pleather lying against skin may not breathe after awhile, so if the fusible isn’t enough I’d recommend a lining to the waistband. Wear with ladylike, soft pieces for the juxtaposition, or go for more structural, geometric pieces to play off the quilting. LOVE! 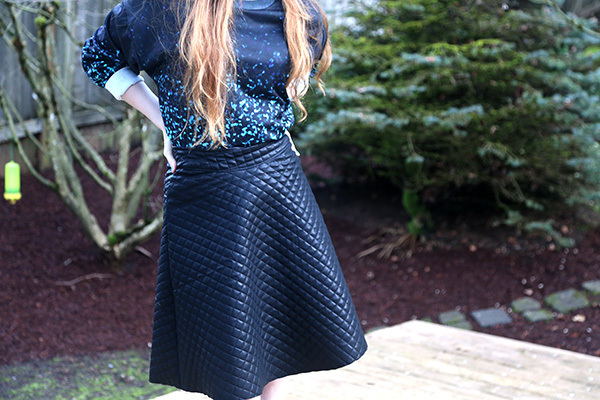 And come back tomorrow to see how I styled it in a full outfit! Carly, what a wonderful skirt! I would never think is it a DIY. 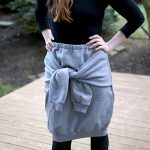 I love it how you managed to use an old skirt to avoid making the pattern. Thanks for sharing! I wonder how much the pleather fabric cost you. I image it is pretty expensive? Thank you, Nadya! The pleather was a bit expensive, at $18 a yard, but I bought it at Jo-Ann Fabrics with a coupon, so it cost me around $11 for the yard and a half I used.